Tufdek™ is the industry’s leading manufacturer and supplier for waterproof vinyl decking. Tufdek can be installed on most outdoor living spaces including balconies, sundecks, roof-top patios, walkways, stairs and concrete. 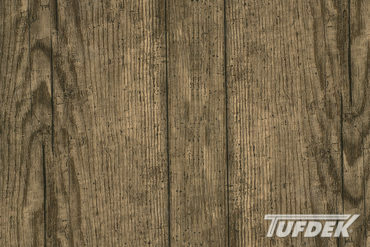 Tufdek has the industry’s most unique and sought after waterproof vinyl decking designs that are only available through Authorized Dealers. At Tufdek, we take great pride in offering not only the World’s Strongest Vinyl Decking, but also quite simply, the best looking and best performing waterproof deck system available on the market today. For more information about Tufdek Waterproof Deck Solutions or for Dealer Inquiries please call us toll free at 1-877-860-9333 or send us an email. Tufdek waterproof decking products are only available through Authorized Tufdek Dealers. Please go to our dealer locator page to find a vinyl decking dealer near you. Please review our product testing, detailed drawings and waterproof vinyl deck specifications to find the recommended Tufdek vinyl decking products for your next project. At Tufdek we make the best vinyl deck waterproofing systems in the industry which is only available through Authorized Dealers. Apply Now to become an Authorized Tufdek Dealer. See what the future can bring when you join the best! 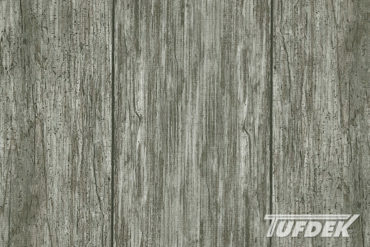 We are extremely proud to announce an Amazing new emboss texture for our Tufdek Designer Series Wood Plank Designs! We have finally created a wood grain texture that matches the wood grain print design of our Birch, Rustic, and Driftwood vinyl decking designs. 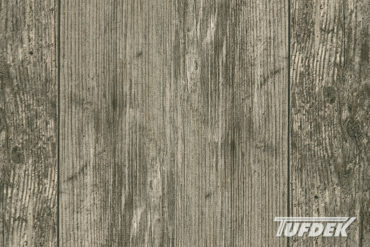 Tufdek Leads the industry by taking bold steps to create the best vinyl decking designs and incorporating unique technology for advancements in performance. The new emboss pattern of our Designer Plank Series will help reduce scuffing and dirt retention while vastly improving the overall design and appearance. So visit our Vinyl Decking Designs page today and see for yourself what makes Tufdek an industry leader in Waterproof Vinyl Decking Designs!